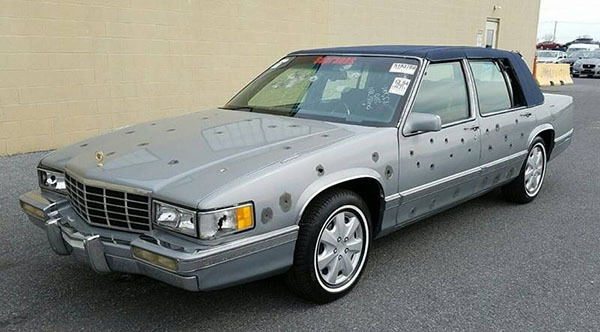 Burlappcar: 1993 Cadillac featured in The Sopranos for sale. I was really intrigued by the bullet holes. Turns out, this car was featured on episode 8/season 6 of the Sopranos. This would actually be pretty funny to own. For only $5000. It is a '93 Sedan De Ville with 139 000 miles. Imagine the looks you would get driving this around. Head over HERE for (barely) more info if you're interested.